September 26, 2018 - Like us now! Climate change has become an alarming problem for a developing country like Pakistan. Extreme temperatures and natural disasters are posing a challenge for leaders, researchers, and citizens to improve the environment of the country. In order to encourage young change-makers to build solutions for climate problems of Karachi, Hack Embassy organized Karachi Climathon 2018, a 48-hour activity that took place at The Nest I/O on 8th and 9th September. Climathon is an immersion event where participants get a glimpse of what it means to solve climate challenges. 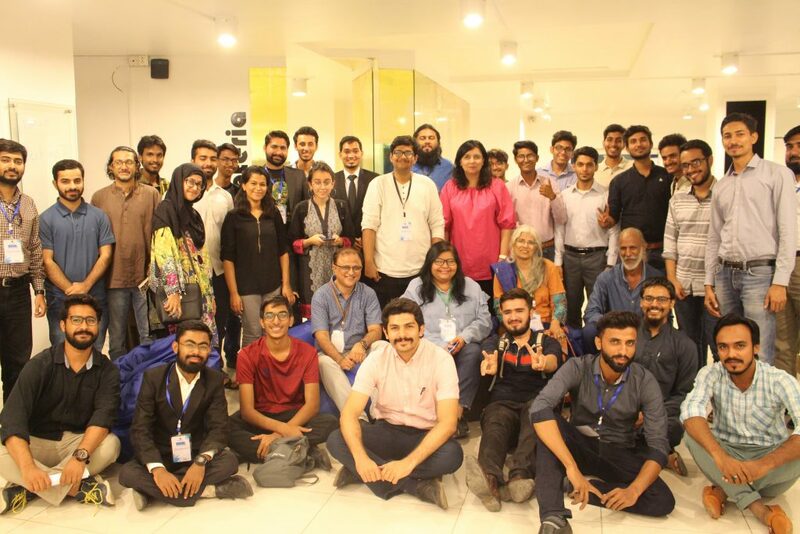 Through Climathon, students, innovators, professionals, and citizens of Karachi shared ideas, formed diverse teams and addressed challenges over the course of a weekend. The participants worked in teams to propose solutions to eight key challenges that were identified by local international partners. Some prominent field experts actively working in Karachi helped the participants to improve their ideas. These included Afia Salam – journalist and environmentalist, Farhan Anwar – sustainability expert, Zainab H Nisar – visual storyteller, Anusha Fatima – CEO Trashit, and Toofiq Pasha Mooraj – urban farmer. Smart ARG, an automated smart agricultural system emerged as the City Winner of Climathon. The system was designed to minimize water consumption and automate a farmer’s workflow. E2 Tech, an end-to-end solution focusing on minimizing energy and resource consumption in traditional office spaces and households, received an Honourable Mention. The Karachi Climathon 2018 was made possible with the collaboration of Hack Embassy with Pakistan.AI, Ejaad Tech, Sohni Dharti, Trashit, Team Rakhwalay, and Modulus Tech. Hack Embassy will continue to create awareness about the UN 2030 Agenda, empower and inspire youths across Pakistan to achieve the Sustainable Development Goals (SDGs) while generating green businesses that help make the goals attainable by 2030.